To keep it simple: No. You don’t need a buffer if your cable has the length of a spaghetti. But most of you love effects and “Oh, what’s this one here? I need this overdrive to complete my chain of 6 different overdrives!“. Suddenly your pedalboard has the size of an office table and (you guessed already) the cable length increased. You compare your beloved straight-to-the-amp guitar signal to the signal sent through the board and you feel like all the money you spent into your board is blown away. No treble, the amp doesn’t respond the same and your gear’s muffled. So, what happened? A cable is mostly a capacitor. The longer the cable gets the more capacity you have and this in combination with the high impedance signal of your pickup causes the tone to get damped and tiny. But forget capacity, resistance and technical stuff. Think of your flat. You want to visit a friend. It’s raining and there’s a lot of traffic. But no problem, because your friend’s living next door. You leave the house, do a few steps and you’re at your friend’s front door. Dry and no traffic jam. Easy. Short cable. You get it. The next day you want to visit a friend who’s living at the further end of the city. It’s still raining and again heavy traffic (I guess it’s in London). Since you’re a musician and your car’s still broke you need to go by foot. You visit your friend in the rain and you get completely soaked. You get it: long cable/signal chain without a buffer. Maybe take a rain jacket or umbrella? Good idea. So when do you put on the rain jacket? Before you leave the house, when you’re somewhere in the city or when you arrive at your destination? Yep – when you leave the house. You have put on your high-end rain jacket, maybe take an umbrella and suddenly the walk is relaxing. You’re arriving at your friend’s house and you won’t get ill, neither you’re rain-drenched. Sounds good? This is your signal with a high-end buffer at the beginning of your signal chain. A buffer makes your signal strong and nearly untouchable. 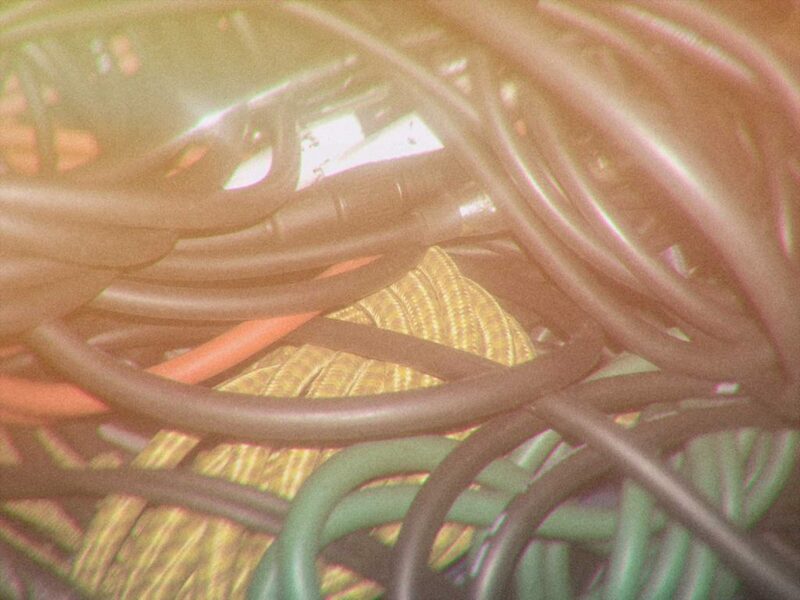 The long way through the cable and effects nearly doesn’t affect it in a bad way. I once read somewhere that “it should be good to have a buffer at the beginning and at the end of the chain, to regain lost signal“. Think of the rain jacket. I think you know already the answer. It doesn’t make any sense to put on a second rain jacket if you’re standing in front of your friend’s door. Your friend will ask “Are you ok, buddy?“. You will laugh and reply “I’ve lost my unicorn“. Also: if you’re already wet and then put on a rain jacket it again makes no sense, because you are already wet. Your guitar has an output impedance of about 10 kOhm. An amplifier has an input impedance of about 1 MOhm. That’s ok. 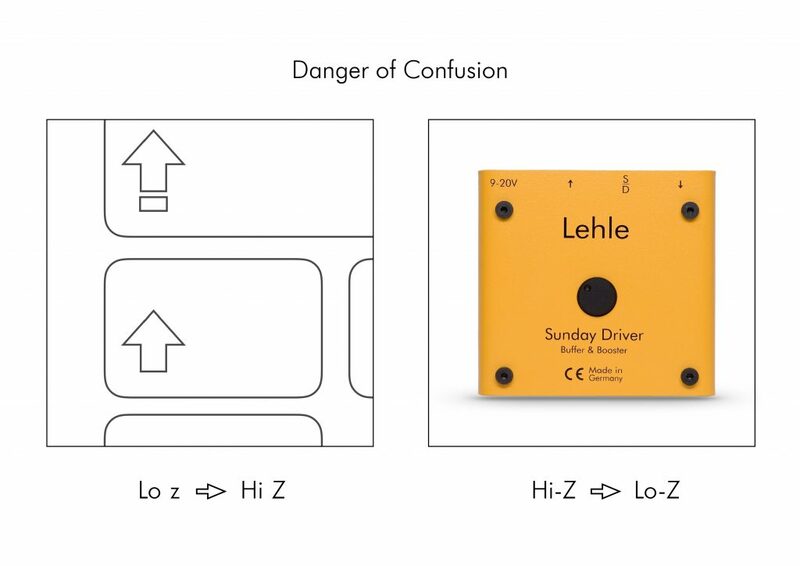 The input impedance of your receiver should always be higher (3x is a good amount). So what does a buffer do? It has a very high input impedance and a very low output impedance. 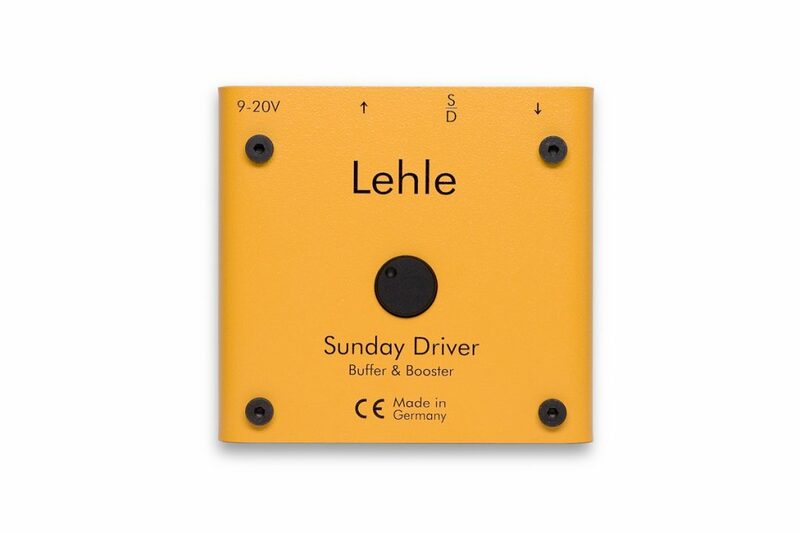 Take a look at our SUNDAY DRIVER or SUNDAY DRIVER SW. It has an input impedance of 1 MOhm (switchable to 4 MOhm) and an output impedance of 150 Ohm. Remember: if your signal has a low impedance (rain jacket), it travels safely through your cable and pedals. So a buffer puts on a very good rain jacket. There are a lot of pedals out there which “buffer“. Nearly every active pedal “buffers“. This is simply a side effect of an active circuit. But sometimes the circuit is cheap and a byproduct of the whole pedal. Let’s say these rain jackets have lots of holes, aren’t water-proof and by the way: they have colored unicorns printed on. It should look good as well, huh? No, basically not. As mentioned there are cheap buffers as a side effect of an active circuit. It’s possible that your signal won’t sound that warm but suddenly like plastic and artificial. 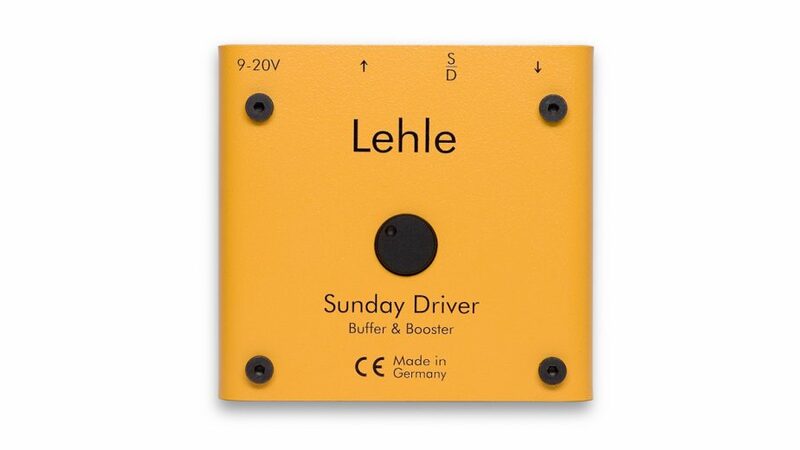 A high-end buffer circuit doesn’t sound. It has no sound. But why is there suddenly more treble? Again imagine the long walk through the city. Your friend knows that you have no rain jacket (buffer) and already has a towel (amp’s treble knob turned up) ready, because you’re rain-drenched. If you put on your rain jacket, arrive dry at your friend’s house and get the towel you don’t need anymore, you still have the towel. Put the towel aside. Turn back the treble knob of your amp. Turn it back to the same position you had, when you played with the spaghetti-length cable. I guess, in the years you played without buffer you turned up the treble knob, since you lost so much clarity in the cable. Yes – there are some exceptions. 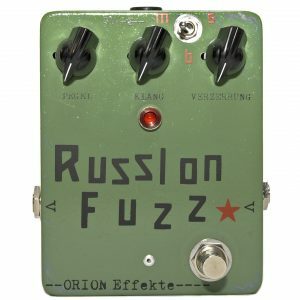 (Most) Fuzz pedals, treble booster and Wah pedals don’t like a buffered (low impedance) signal. They love to get fed by the high impedance straight of your guitar. I mean, you won’t suit up your rain jacket in the bedroom or open the umbrella in the bathroom, right? It’s ok to do this when you’re opening the front door. Note: Guitar -> Fuzz/Wah/Trebleboost -> buffer -> effects chain -> amp. That’s a chain you can start working with. Yes – true bypass. True bypass is good, since it doesn’t “do“ anything to your beloved signal if the pedal’s inactive. You can easily check if your pedal’s true bypass: just remove the power supply / battery and check if there’s any signal going through. If you hear a signal although there’s no power supplied, you can almost be sure your pedal’s true bypass. If your pedal is not true bypass, it means that the circuit’s still active although the pedal is inactive. If you notice any degradation to or more noise in your signal (pedal in the chain / pedal off the chain) you should think about a true bypass looper. Something like a LITTLE LEHLE II or a D.LOOP SGoS. They take your pedal out of the chain or put it into. I will explain the usage of loopers in another blog post. And now: go and visit your friend. I know, it’s raining.